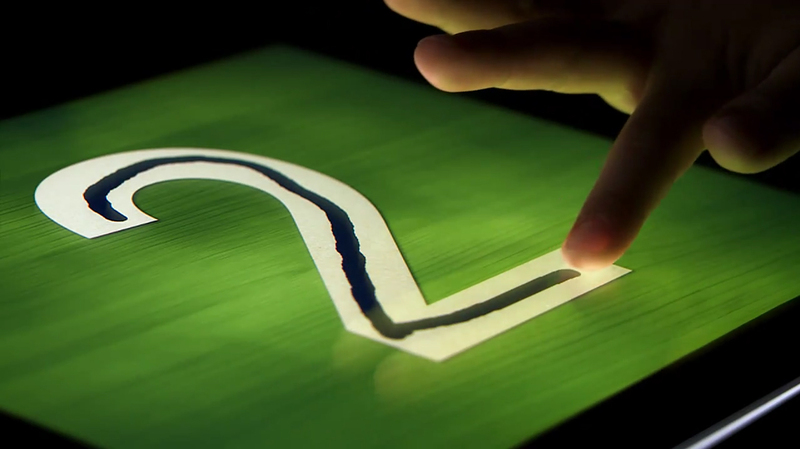 Apple has released a new commercial for the iPad 2, with a statement of belief in intuitive technology. Peter Coyote provides the voiceover: “This is what we believe: Technology alone is not enough. Faster. Thinner. Lighter. Those are all good things. But when technology gets out of the way, everything becomes more delightful. Even magical. That’s when you leap forward. That’s when you end up with something like this.” Apple suggests the iPad 2 is everything the company believes technology should be. The “We Believe” ad was developed at TBWA\Media Arts Lab, Los Angeles, by chief creative officer Duncan Milner, executive creative directors Eric Grunbaum and Scott Trattner, group creative directors Chuck Monn, Steve Turner, creative director Demian Oliveira, associate creative director Simon Cassels, art directors Melinda Keough, Mark Sloan, copywriters Ted Kapusta, Jamie Reilly, agency producers Anne Oburgh, R.J. Pomeroy, and Chelsea Larner. Filming was shot by director Mark Coppos via Green Dot Films with directors of photography Rebecca Baehler and Fernando Cardenas. Editor was Jared Coller at Nomad Editing. Post production was done at D Train by artist Ben Gibbs.